During the gala dances on transatlantic liners, the Charleston headband was a highly prized accessory. Easily recognized by its feathers, this was the perfect accessory for the fringed lace dresses worn by women in the 1930s. First, get an elastic hairband, preferably in black. Then select a large, strong feather in the color of your choice (for a genuine 30’s look, go for a black or white feather). Stick the feather to the right hand side of the headband, using fabric glue. For a little more extravagance, stick several feathers to your headband. Sticking sequins all around your headband adds an elegant finishing touch. 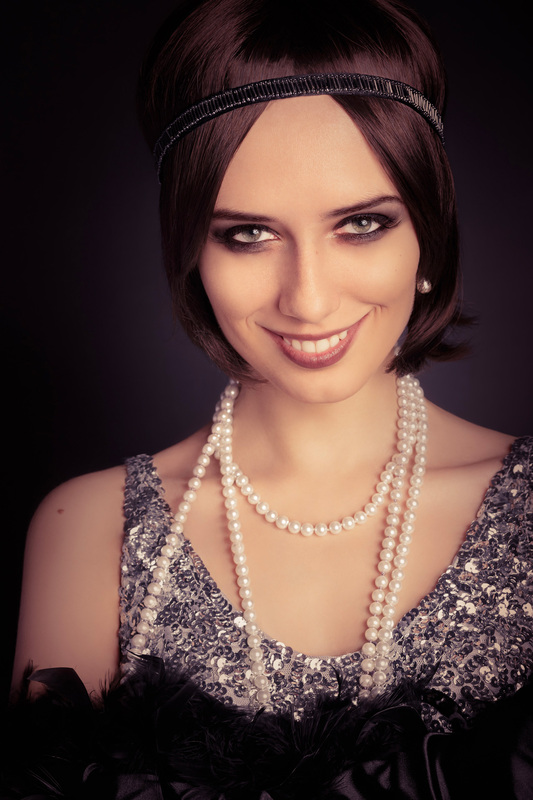 Add a pearl necklace – must-have accessory of the time, as worn by fashion designer Coco Chanel – to enjoy a totally 1930’s gala evening!